Enter Our New Monthly Gift Card Giveaway! 2. New Monthly Gift Card Giveaway - multiple entry opportunities. Win your choice of 3 gift card choices!! Make Your Own Onesie Invitations. 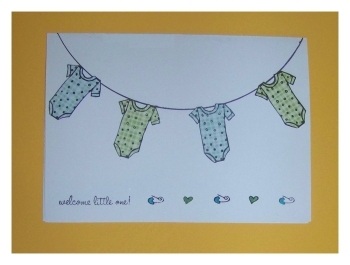 Learn how to make these cute baby shower invitations using onesie rubber stamps. So adorable and easy! Even a paper crafting newbie can pull these off. Have you created your own handmade oneise invitations? We would love to see them! We'd love to see any of your handmade invitations for that matter! Make sure and visit our Card Making Show And Tell Page and submit your DIY invitations to our reader's gallery AND enter our monthly gift card giveaway!! 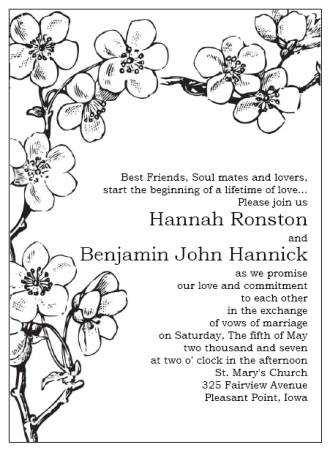 Create Your Own Printable Invitations! 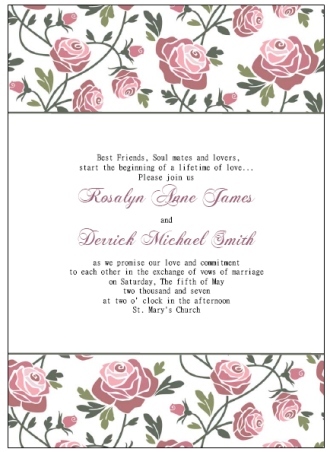 Utilize free digital scrapbooking websites and online clip art, plus your own photos, to upload and create your own customized printable invitations. 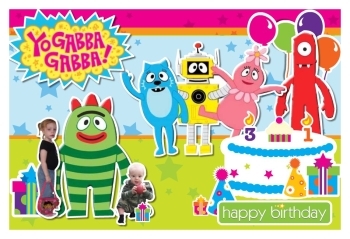 See how I did it by checking out the Yo Gabba Gabba Photo Invitations I created for my kids birthday party. An invitation appropriate for most 21st birthday parties! This invitation is simple to make and fun too! The main ingredient? Rubber stamps! To create your own check out our 21 Birthday Invitations Tutorial. ANNOUNCING Our New Monthly $50.00 Gift Card Giveaway! Your Choice Of Gift Card - Choose From Three! Win a gift card of your choice from one of our 3 sponsors! Up for grabs is a gift card from either Scrapbook.com, LCI paper.com, or choose an American Express gift card to use anywhere where American Express is accepted. To enter submit your handmade invitations to our readers gallery. There are opportunities for multiple entries and you can even enter more than once! For more information or to submit your entry visit our contest page. 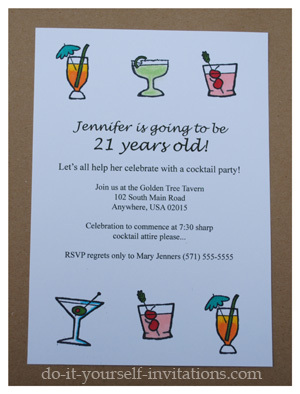 We are now offering printable templates for making handmade invitations. It's a fast and easy solution to affordable and easy handmade invitations in the comfort of your own home. To use them simply highlight the text in the template and change it to your own. You can change the wording, font, size, and even colors of the text. Print them on your home computer printer, trim them, and then pop them in an envelope and in the mail. See How to turn your kit from plain old black and white printed invitations into a colorful and elegant masterpiece. 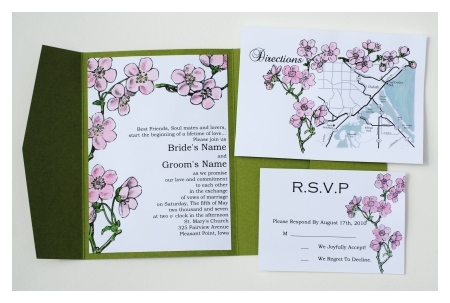 Check out these pocketfold Cherry Blossom Wedding Invitations.